Zambia Airports Corporation Communications and Brand Manager Mweembe Sikaulu says the general passenger movement for the period January to December, 2018 for all four international airports namely Kenneth Kaunda, Harry Mwaanga Nkumbula, Simon Mwansa Kapwepwe and Mfuwe International Airports was 1,931,827 compared to 1,748,200 in 2017 resulting in an overall growth of 10.5%. Ms. Sikaulu said this can further be broken into 374,479 for domestic passengers and 1,557,348 for international passenger movements. She said Domestic movements grew at a significant 22.7% while international movement also grew positively at 7.9%. Ms. Sikaulu said when compared to the same period last year, there were percentage growths in 2018 of 10.7%, 12.6%, 7% and 10.5% for Kenneth Kaunda, Simon Mwansa Kapwepwe, Harry Mwaanga Nkumbula and Mfuwe International Airports respectively. She said Kenneth Kaunda International Airport was the best performing airport as it had the largest number of passengers being the main gateway in the country. Ms. Sikaulu said the airport handled 70% of total general passenger movements in 2018 while Simon Mwansa Kapwepwe and Harry Mwaanga Nkumbula International Airports handled 15% and 13% of total passengers respectively. She added that the smallest airport, Mfuwe International Airport carried 2% of the total traffic. Below is a full statement…. This can further be broken into 374,479 for domestic passengers and 1,557,348 for international passenger movements. Domestic movements grew at a significant 22.7% while international movement also grew positively at 7.9%. When compared to the same period last year, there were percentage growths in 2018 of 10.7%, 12.6%, 7% and 10.5% for Kenneth Kaunda, Simon Mwansa Kapwepwe, Harry Mwaanga Nkumbula and Mfuwe International Airports respectively. 1. In December 2018, Turkish Airlines introduced two weekly direct flights into Europe.2. Proflight Zambia continued in its use of bigger capacity aircraft servicing both SMKIA and HMNIA. The aircraft types are a Fokker 70 with a seat capacity of about 73 and a Dash 8 with a seat capacity of about 50. 3. Increased Passenger uplifts by Rwandair resulting from increased frequencies and continued use of bigger aircraft when the current period is compared to the same period last year. Effective May 2018, RwandAir introduced an Airbus 330 on the Kigali-Lusaka-Johannesburg routes, with a seat capacity of 270 while maintaining other aircrafts such as the Boeing 737, the Bombardier CRJ (Canadair Regional Jet) and a Bombardier Q400 on the route. This resulted in increased capacity on the route. 4. The recently introduced flight between Lusaka and Kalumbila by Kafue Transport has stimulated domestic traffic. 5. Increased competition between Mahogany Air and Proflight Zambia has resulted in the reduction of ticket fares hence attracting new travellers on the domestic front. 6. There have also been increased weekly frequencies by Proflight Zambia, Mahogany Air and Malawian Airlines at Kenneth Kaunda International Airport from 4 to 6 flights during the course of the year. 7. The limited bed capacity in the tourist towns of Livingstone and Mfuwe continues to adversely affect traffic to the tourist airports, particularly international tourists in peak season. 8. The relatively expensive accommodation rates are also having adverse effects when compared to other similar catchment areas. 9. The lack of a low cost carrier is a factor as Fastjet Airlines has managed to pull most of the South African Traffic into Victoria Falls Town (Zimbabwe) due to a combined cheaper option of air fare and accommodation. South Africa remains the biggest market for the Livingstone and Victoria Falls region. 10. On a macro level, immigration policies have continued to affect travel to Zambia as countries surrounding Zambia have increasingly relaxed border rules by allowing tourists to obtain visas upon arrival. Countries such as Zimbabwe, Mozambique, Namibia and Rwanda are among the new movers of this motion. 11. Fastjet Tanzania has recently suspended flights into Lusaka; effective December 2018. When compared to the same period last year, Kenneth Kaunda, Simon Mwansa Kapwepwe, Harry Mwaanga Nkumbula and Mfuwe International Airports grew by 2.4%, 10.9%, 12.4% and 4.9% respectively in 2018. 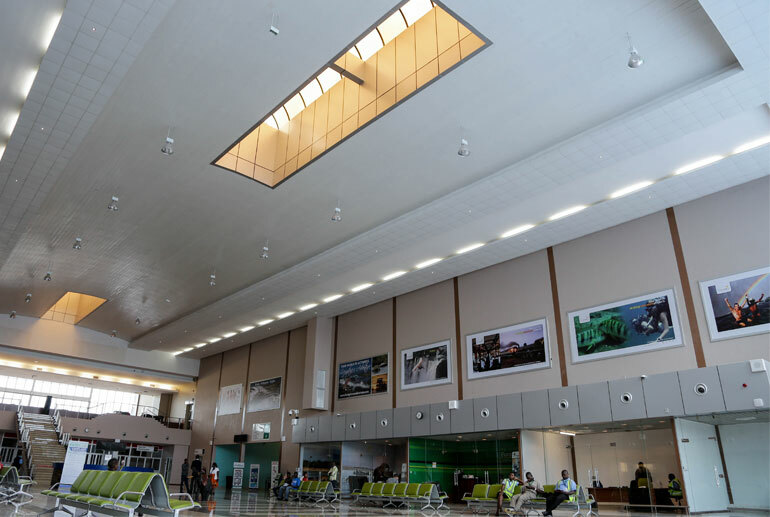 During the fourth quarter, Kenneth Kaunda International Airport had the most number of flights with 62%, followed by Simon Mwansa Kapwepwe and Harry Mwaanga Nkumbula International Airports with each handling 17% and 16% of the total flights respectively. Mfuwe International Airport had aircraft movement market share of 5%. They make money from airport tax and associated levies …remember that is not refunded when you cancel your ticket for some reason plus they can make even more if they made these airports operate 24/7 and accommodate transit passengers. For you to compare Heathrow to Zambian airport shows how little knowlegdge you have on how airports operate, just they car park at Heathrow is a revenue stream on its on. You can’t compare Heathrow to LSK for one it’s a private airport which is rare most airports globally are subsided by gov. Look at JFK, Dubai , Addis , Atalanta . 2nd scale of economy and demographics.3rd freedom of air movement laws do not exist in Africa AU is still fighting over this and it’s the main reason air travel is expensive across the continent.